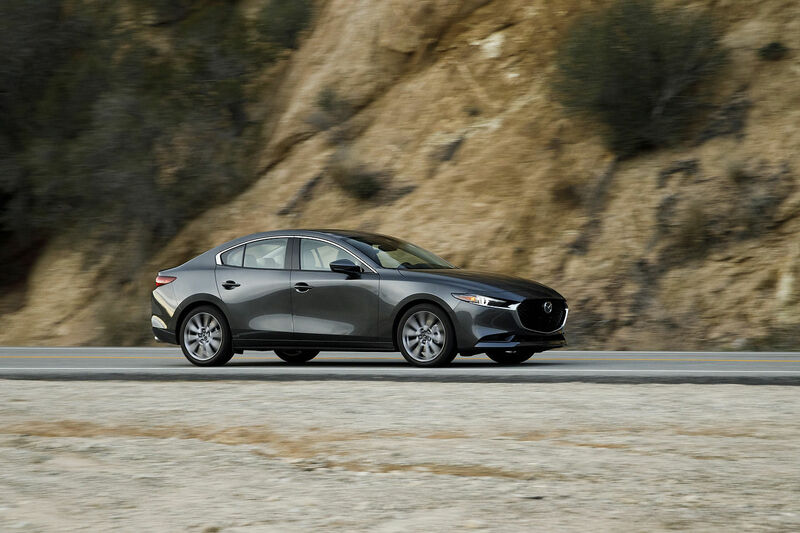 The 2019 Mazda3 is brand-new from the wheels up and was completely redesigned to offer more features, better performance, the added grip and stability of all-wheel drive, a more noticeable design, and improved efficiency throughout. Let’s look at the compact sedans most impressive features as well as how it manages to stand out from its competition. 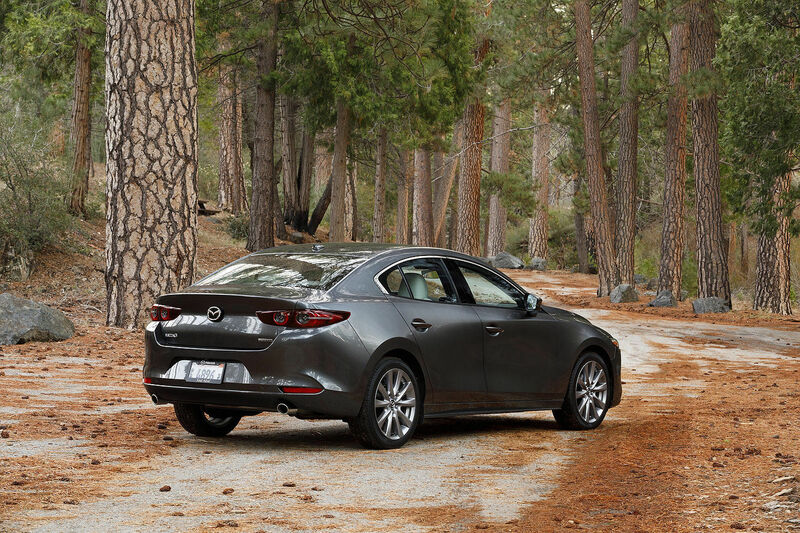 The 2019 Mazda3 comes with two body styles and three versions along with plenty of standard and optional equipment. Powering the base Mazda3 is a 2.0-liter, four-cylinder SKYACTIV-G engine with 155 horsepower and 150 pound-feet of torque. This engine can be paired with either a six-speed manual or a six-speed automatic gearbox. Regardless of which gearbox you choose, the Mazda3’s fuel economy is sure to put a smile on your face. With an average fuel economy rating of just 8.4 liters per 100 kilometers in the city and 6.6 liters per 100 kilometers on the highway, the new Mazda3 is more fuel-efficient than just about any compact sedan. You can also opt for the more powerful 2.5-liter four-cylinder engine that features 186 horsepower and 186 pound-feet of torque. This engine, albeit one of the most powerful in its segment, is still one of the most fuel-efficient with an average fuel economy rating of 8.8 liters per 100 kilometers in the city and 6.6 liters per 100 kilometers on the highway. One of the most unique features offered in the 2019 Mazda3 and certainly something that allows it to stand out is the now available i-ACTIV all-wheel drive system. 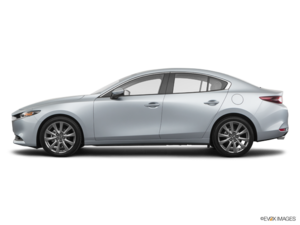 Offered for the first time on the Mazda3, it makes Mazda’s new compact vehicle one of only two compact sedans to even offer it on the market. 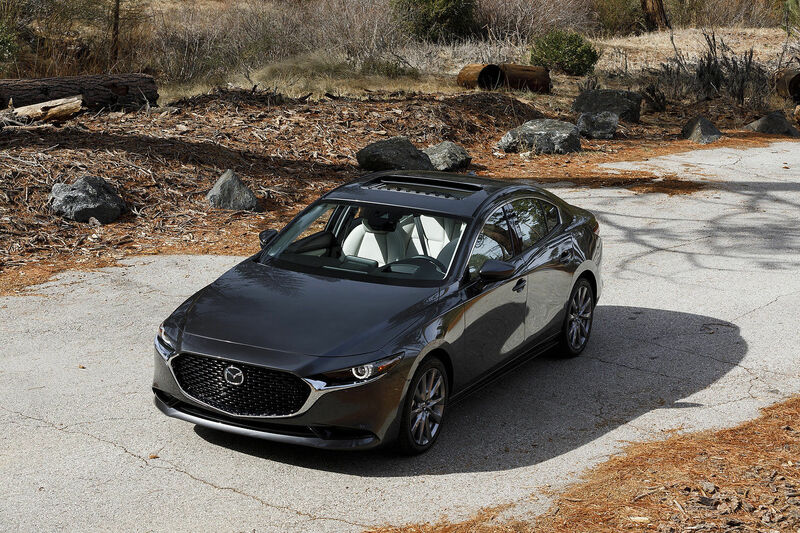 To learn more about the 2019 Mazda3, contact us today at Kentville Mazda.